I had a very similar dish at Francesca's on Taylor (Chicago) a few years back and loved it. I'm happy to have your recipe. WOW, that looks so good! Yum!!! Delicious! One of my all time favorite meals is this same concept but roll up the lasagna goodies with tortillas instead of noodles. Great recipe! Definitely a keeper!! Have a great weekend!! I love lasanga roll ups, I make a meatless version with ricotta and spinach filling. Yours looks great too, I may try it with italian sausage! What an interesting way to make Lasagne! Looks amazing! I've made similar dishes before and they're always so good! Oh yum yum! These roll ups look so delish and fun! Those look wonderful! I have never tried a lasagna rollup. Thanks for the recipe! Looks like a great recipe to make for our church small group. I am always trying to come up with new recipes to try for them. Thanks for sharing and linking to TMTT. YUM. I am a bit like the cartoon cat Garfield when it comes to a passion for lasagne. Thanks for sharing at this week's BFF! 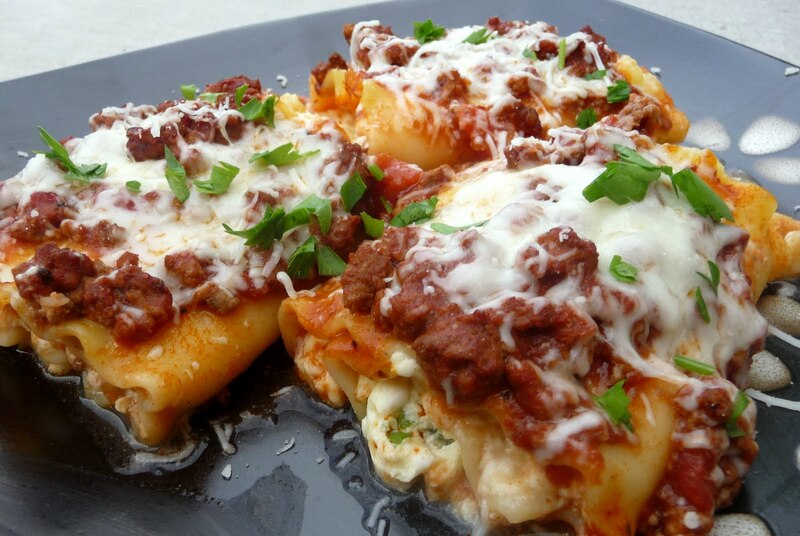 I love this whole idea of rolling up the lasagna! Great photography and I'm sure, with you being the chef, they are certainly delicious! Def'ly a keeper recipe to me. Thanks for sharing your wonderful talent on Fresh Food Friday! I've loved your recipes and following your blog! This is such a great idea and is one that I look forward to sharing with my family! making these tonight for dinner!! I cannot wait, they smell soooo yummy in the oven!! Thank you so much for this recipe and ALL the recipes you've posted, I've also made your cookie dough brownies for my co-workers and they went over VERY well. One of the best brownies I have ever eaten!!! These look so good!! This is "whats for dinner" at my house tonight!!! I love all your recipes. I still have so many to check out, they all look so good!! Thanks, have a great day!!! Sooooo good, my husband is not a big fan of ricotta so when I saw this recipe with the cottage cheese instead I was so excited to try it. This has to be one of the best lasagnas I have had in or out of a restaurant! For anyone nervous about using cottage cheese, let me just say that you can't even tell once everything is combined and cooked; it made for a very creamy filling.